European Alternatives (http://www.euroalter.com) is collaborating with a group of leading thinkers and activists to launch the School of Transnational Activism, a reflective and action-oriented space, gathering participants across disciplines to experiment and explore how to articulate and enact a radically democratic vision of politics beyond the nation-state. Apply to the School before April 22nd! The workshops will combine lectures, participatory courses, open spaces and public events. We will mix expert input and theoretical reflection with hands-on experience, peer-to-peer learning and sharing of concrete examples of innovative transnational initiatives. In this first year, we will create together a model for the School that will shape its future! The first year courses will take place in various locations. They will be based on a foundational course developed by European Alternatives. 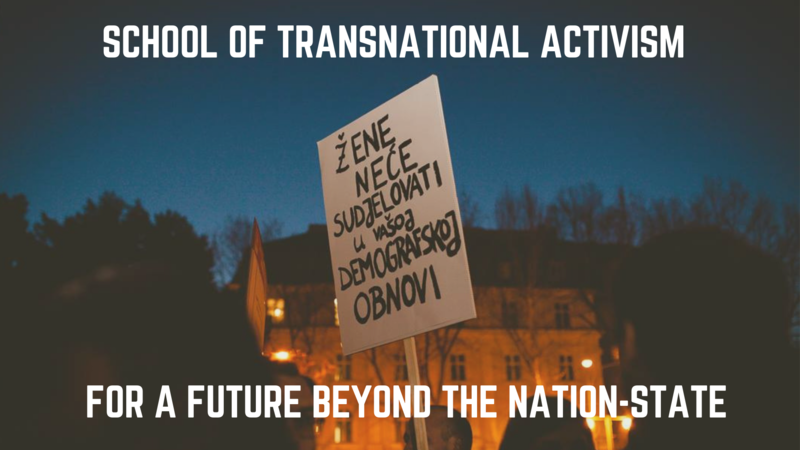 The first training will take place on June 20-23th in Warsaw, Poland, the second on September 12-15th, 2019 in Rijeka, Croatia and the third alongside the Transeuropa Festival 2019 on November 7-10th, 2019 in Palermo, Italy. In between workshops, online sessions will be organised to follow up on the ideas and proposals generated by the participants as well as complimentary webinars for further inspiration. Available on all the dates of the workshops (20-23rd June in Warsaw, 12-15th September in Rijeka and 6-8th November in Palermo). Track record of activism in or reflection on key topics such as migrants rights, citizenship, feminism, gender, climate justice, data and digital rights. Committed to contribute to the program of the Transeuropa Festival 2019 in Palermo, in forms of presentations, debates, workshops, installations, based on the content co-produced in the workshops. Apply to the School before April 22nd. The course is offered free of charge for selected participants. Travel expenses to and from the training venues are not covered by European Alternatives. We can offer a limited number of partial or fully funded scholarships for covering travel to and from the workshop venue.